First German edition, apparent first printing. "Printed in Germany 1974" is stated on the copyright page. Month of publication from Science Fiction Times #136. An invalid ISBN (3 548 03096 2) is stated on the copyright page. The continuous series numeration is derived from counting the editions: it's not stated. Editor on behalf of Ullstein: Walter Spiegl. The table of contents is printed on p. 4. Last page (128) is not numbered. 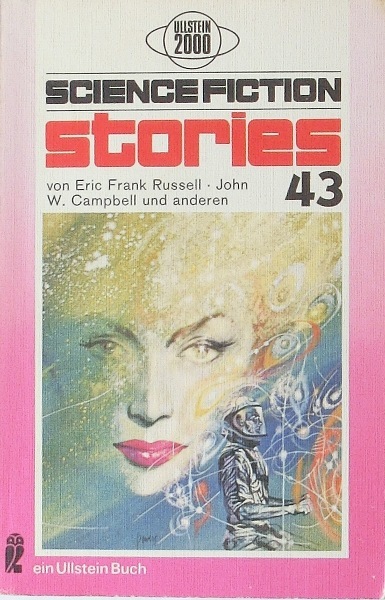 Cover art credited to 'Fawcett', which is a publisher not an artist; signature on cover 'Powers'. Price only stated on spine.